Some of San Francisco's most iconic attractions are seeing another spike in crimes. 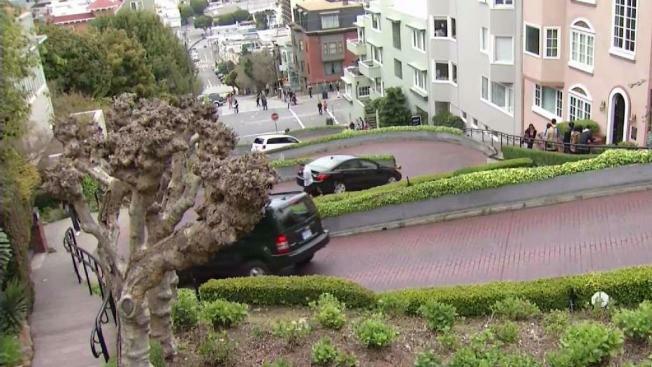 San Francisco is seeing a surge in property crime in some of the city's most scenic areas. And it is all happening despite efforts to put more police officers on the streets to combat crime. The city's central police district, which includes Lombard Street, Fisherman's Wharf and Telegraph Hill, is an area the San Francisco Police Department has doubled foot patrol since April. But car break-ins are up sizeably even with the added attention. Police say car break-ins are up 24 percent in the central district since they beefed up patrols this spring. The district is a well-trafficked area that includes eight of the 10 most visited sites in the city. "We're definitely concerned. We're definitely listening to our communities," SFPD Officer Robert Rueca said. "And we want to stop crime altogether." San Francisco supervisors Norman Yee and Hillary Ronen are spearheading legislation to designate a specific unit in every police district to focus solely on property crime and to make rental cars less of a target for criminals. The proposed legislation would require rental car companies to downsize the bar codes plastered on windows. "Supervisor Ronen and I just said, 'Enough is enough.' Let's push this through. It's time to relook and support the police department as much as possible with this," Yee said. Yee and Ronen have co-sponsored the legislation, which he said has taken on greater importance after a police officer's weapon was recently strolen from his car and used in a murder. New data also shows there have been 3,000 more car break-ins reported in San Francisco in the first seven months of this year when compared to the previous year, according to Yee. Yee and Ronen's legislation will be up for a vote in the next few weeks.